7 days to exchange on a difficult property deal – and we did it! This is where our expertise comes into play – spotting opportunities and turning them to our advantage. So how did we do this? 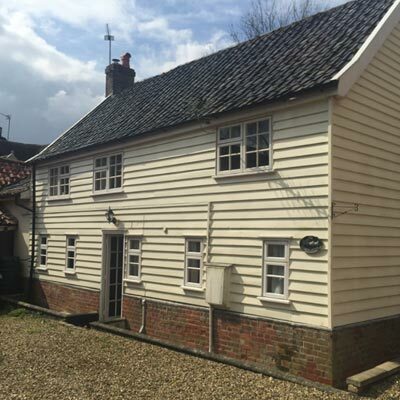 Our regular check of auction results using the cracking research tool EIG unearthed a two-bed cottage in the quaint village of North Lopham, Norfolk, that had not achieved its reserve in the previous days’ auction in London. 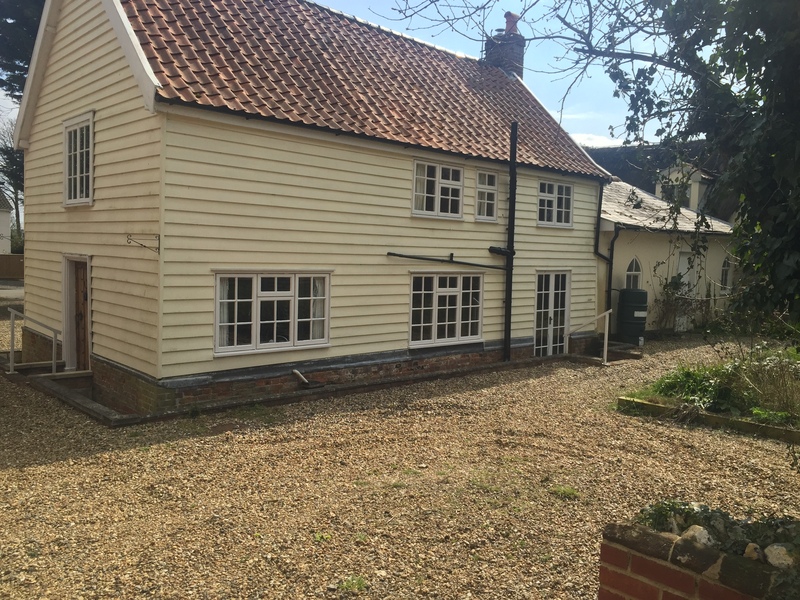 Why would a Norfolk property be in a London auction you ask? Read On and all will become clear. The guide price looked very attractive, so what was discouraging bids on this apparently quaint cottage? Digging into the legal pack we soon discovered the challenge. The cottage was one of a pair which had been owned by the same individual and when the title had been drawn up the land ownership had been applied in such a way that each cottage owned the other’s front drive and back garden! (cue blushes from the original solicitors…) This in effect made both properties un-mortgageable and even a cash buyer would find themselves in the unenviable position of having no rights of access to either the front or rear of their property. To further complicate matters the current owner had gone bankrupt, leaving one cottage in the hands of the original lender and the other with an Insolvency Practitioner (IP). So whilst the obvious solution was to swap the titles for each, unfortunately, no one party had overall control of the properties to do so. Further investigation revealed that while the IP had been in correspondence with the lender for several months no real progress had been made to resolve this major issue. The only solution we could see was that we would have to buy both! There were, however, several big challenges to overcome. One: The property being sold by the bank was listed in another auction in 7 days’ time, so if we wanted to buy it we would have to agree a price and exchange before that date, with completion due a mere 14 days later! Two: We had to negotiate a deal with the IP who was selling the other property within the same 7 day period. Without control of both, there really was no deal to be done! Three: The IPs are duty bound to get the best possible price on behalf of their creditors, therefore they will always negotiate hard. Remember we had less than 7 days to agree a price and exchange on both! Now things get even more tense! With one day left before the auction, the bank finally agreed a price of £155,000. Great news. However, we must transfer 10% of the funds that afternoon or they will still put it in the auction. Can we now get the IP to agree on a price? If we can’t, then all of our hard work will have been for nothing. We speak to the IP and explain that our current offer is final and that we will walk away if they don’t accept it today. They need time to consider. The hours slip by, but finally, they agree the price (£160,000) with same dictates on a 10% deposit within 24 hours. Our solicitor (Robert from Isadore Goldman) then performs minor miracles with the legals, which sees the deposit funds sent across to both parties within the agreed timescales. The bank pulled the property from the auction and then set the clock for completion of the balance of funds in 14 days. The IP was slightly more relaxed…they wanted funds in 21 days. Now anyone who has ever attempted to get a mortgage would probably agree that getting an application completed within these timescales can be somewhat challenging, we agree. So we use bridging finance in these types of situation. Yes, it can be deemed expensive, however, if a deal needs fast finance then, in my opinion, it’s a cost worth paying. So with funds being raised and our solicitor moving the purchase forward, we make a visit to the properties to best assess how to resolve those pesky title issues. Although this is a paperwork exercise, I believe it pays to get eyes on the ground, and this certainly helped here. Resolving the ownership of the back gardens was straightforward enough, however ensuring that access to the front gardens and driveways of both properties was fair and equitable took more than a few conversations with both our solicitor and the selling agent! However, we finally agreed a layout to suit all parties. We have now completed on both properties and with the title documents ready to file with Land Registry, both properties are now back on the market and creating a great deal of interest from both local residents and those looking to move into the village. An open viewing over the weekend was well attended and will hopefully get those offers flowing. In the meantime, we are involved in other projects including several HMO conversions for the ever-growing student market in our local area!